Meet Kim Kardashian to celebrate her perfume & win a makeover! Meet Kim Kardashian and win a glamorous makeover and trip! You’ve heard about it and now it’s finally here. 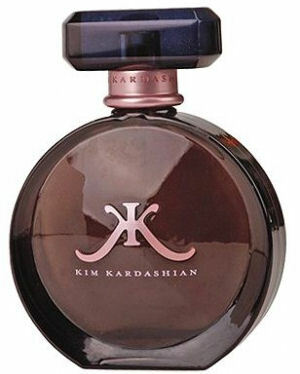 Kim Kardashian‘s first fragrance, which she named after herself, is now in Sephora stores nationwide. Kim will be in Miami, New York, Los Angeles, and Las Vegas taking autographed photos with fans who purchase any of the three sizes of her perfume, which are the 1oz/$35.00 bottle, the 1.7oz/$50.00 bottle, or the 3.4oz/$65.00 bottle. -Go to Facebook.com/Sephora, and in 50-100 words, tell them why you think you deserve a glamorous Kim Kardashian makeover. -Kim will personally choose the winner and fly her and a guest in for a one-on-one “glam consultation” with Kim herself at a Sephora store. The prize also includes a night at Kim’s favorite hotel, dinner at Kim’s favorite restaurant, a $500 Sephora shopping spree, and a makeover from a Sephora PRO Beauty Team artist! -Visit Sephora.com/Go/KimKardashian or Sephora’s Facebook Fan Page on February 4th for more details. I would love to win a Meet Kim Kardashian and Glamorous Makeover. I am in my 40’s now and I am finding it harder to stay on top of fashion but not look like I am trying to compete with my daughter. I need a makeover that makes me look young and chic without going to far. Plus I love the Kardashians….this would be an awesome win! we wil be there saturday feb. 27 when you show your new fragrance .this will be so exciting. for me i hope i win this ..i need a make over….. I like to meet her. I want to lose weight. I like to meet her. I am big fan. I like to lose weight. I would like a make over. I feel that I need different look. I want to feel good about myself. I would like to win a make over. I want a different look. I want to look pretty . Kim karda is pretty girl. I hope to win.